Chinese exports exceeded expectations in December, spurring a rally on Asian markets Wednesday, in a rare bright spot for the world's second-largest economy which has been hit by slowing growth and saw overall trade drop last year. The Asian giant is key to the world's economic performance, but its imports have been hit by low prices for commodities such as oil and iron ore and the slowdown in China's infrastructure boom, while exports have had to struggle with weakness in partner economies. Even so December's exports were better than expectations, declining 1.4 percent in dollar terms to $224.2 billion, Customs said -- while rising 2.3 percent measured in China's yuan currency. Economists had forecast a 4.1 percent fall according to Bloomberg News. Higher risk currencies rose in line with the regional stock rally as the upbeat trade report provided much-needed respite from a volatile start to 2016. 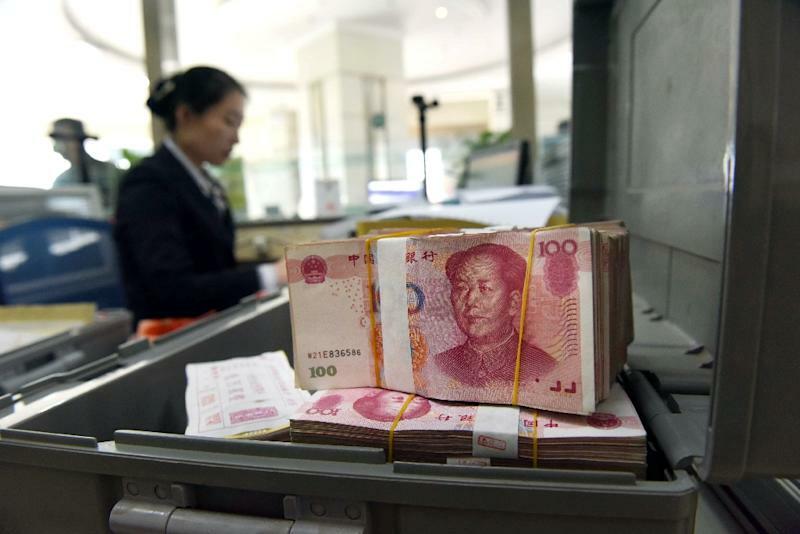 Beijing has lowered the value of its yuan currency in recent weeks and months, which should make Chinese exports more competitive on world markets, and Customs spokesman Huang Songping said it "should boost exports to some extent". "But the effects will become weaker and weaker because there are many factors in play," he added. Trade conditions "remained rather severe" at the start of 2016, he told reporters, adding the outlook for the full year was "not optimistic". Imports fell 7.6 percent to $164.1 billion in the month, Customs said, an improvement on the pace of decline in November and also better than the Bloomberg prediction of an 11 percent drop. The December trade surplus was $60.1 billion in dollar terms, a 21.1 percent jump according to previous figures. Markets in Hong Kong, Sydney and Tokyo all closed higher on the trade figures, although Shanghai stocks ended down 2.4 percent down. But analysts were cautious, warning of challenges ahead. "The depreciation of the yuan helped with exports and overseas demand also strengthened with increasing new export orders," Ma Xiaoping, a Beijing-based analyst at British bank HSBC, told AFP. "But it’s still uncertain whether this recovery is sustainable or not." The monthly data offer "further signs of the economy stabilising", Nomura analysts said in a note. "Nevertheless, we still expect growth to resume a downtrend later in the year given ongoing structural headwinds." The European Union, United States and the Association of Southeast Asian Nations are China’s top three trading partners. Global investors have been alarmed by slowing growth in the world's second-largest economy, which is expected to have expanded last year at its slowest pace in a quarter of a century. Official data on fourth-quarter and annual growth is due to be released next week. Beijing is seeking to transition the country's growth model away from reliance on exports and fixed-asset investment towards a consumer-driven economy, but the reform is proving bumpy. 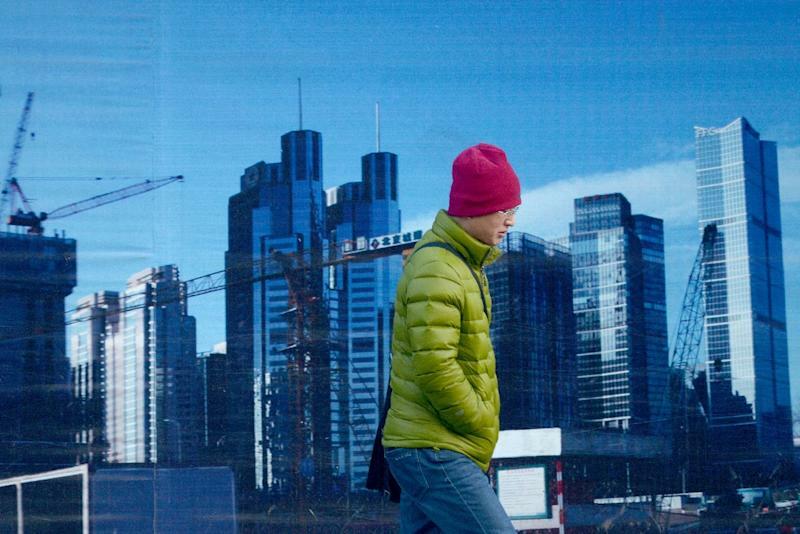 China logged its worst economic performance since the global financial crisis in the third quarter of 2015, with gross domestic product (GDP) rising just 6.9 percent -- its lowest level in six years. For 2015 as a whole, China's total trade fell eight percent year-on-year to $3.96 trillion, Customs said. The figure was far below the government's target of six percent growth and marked the fourth year in a row that external commerce had missed its goal. 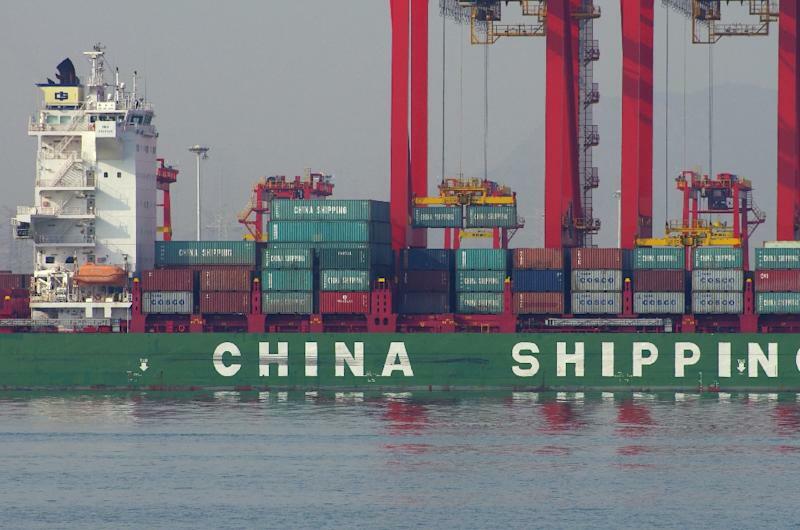 China's imports slumped 14.1 percent on the previous year to $1.68 trillion, Customs said, with plunging commodity prices key to the decline, while exports were down 2.8 percent to $2.28 trillion. Beijing will not set a numerical target for annual trade growth in 2016, the state-run China Economic Times newspaper reported earlier, saying that commerce minister Gao Hucheng told a meeting that the government would instead aim to have "higher export growth than the world trade growth level". The Chinese figures were initially given in yuan terms, which showed a marginally better seven percent year-on-year fall in annual two-way trade. However, overall global trade contracted last year, Bloomberg News reported, so that China's export performance was relatively strong. "China actually outperformed the rest of the world in exports, with its share in global exports rising," it cited Larry Hu, head of China Economics at Macquarie Securities in Hong Kong, as saying in a report ahead of the data. In dollar terms, Wednesday's statistics are likely to mean China has retained its title as the world's biggest trader in goods. US trade figures will not be released until February, but for the first 11 months of the year it amounted to $3.48 trillion on a total balance of payments basis, according to figures from the US census bureau. China's annual trade surplus leaped to $594.5 billion, Customs said, a 55.4 percent rise according to previous figures.